Each week IgnatiusInsight.com features articles and essays by Ignatius Press authors, as well as interviews with noted authors such as Fr. Benedict Groeschel, Joseph Pearce, Peter Kreeft, Roy Schoeman, Glenn Olsen, Donald De Marco, Benjamin Wiker, and others. Readers will also be able to read excerpts from new and upcoming releases as well as from Ignatius Press classics. 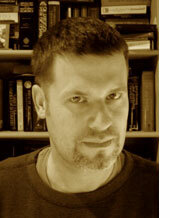 Carl E. Olson is the web editor of IgnatiusInsight.com and the moderator of the Insight Scoop weblog. Carl is the author of the best-selling Will Catholics Be "Left Behind"? (2003), selected by the Associated Press as one of the best religious titles of 2003. He is also the co-author, with Sandra Miesel, of The Da Vinci Hoax: Exposing the Errors in The Da Vinci Code, described by Francis Cardinal George as "the definitive debunking" of The Da Vinci Code. Carl is the former editor of Envoy magazine and has written dozens of reviews and articles for periodicals including Catholic Parent, Crisis, Envoy, First Things, National Catholic Register, Our Sunday Visitor, Saint Austin Review, and The Catholic Answer. 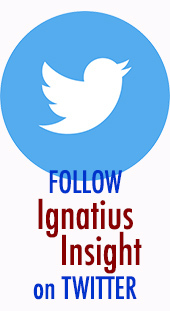 You can send your questions and comments to Carl at carl@ignatius.com.